Can’t get enough of the recent 3-Day Flash Sale for Medicard's RxER? Grab this second chance to give the gift of health! 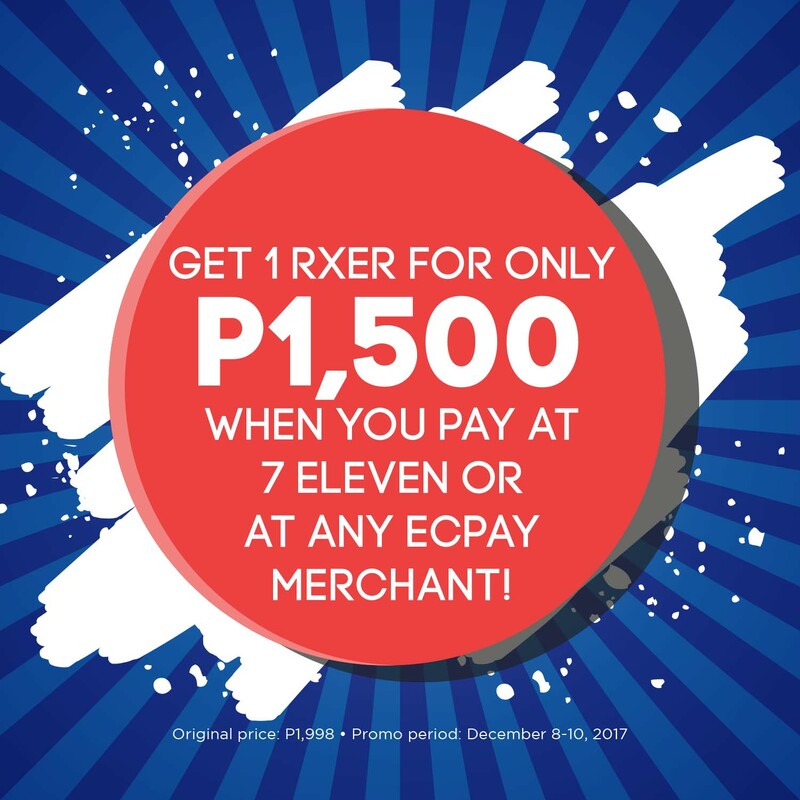 Get 1 RxER for only P1,500 (original price P1,998) when you apply online on December 8-10, 2017 and pay at any 7Eleven and other ECPAY merchants nationwide. Please see list of 7-11 branches and EC Pay merchants by clicking this link: ecpay.com.ph/partner-outlet-finder. Just fill-out the online application Form HERE and pay for the corresponding amount at any 7-11 branch, and any EC pay merchant. Please click this link to see the list of 7-11 branches and ECPAY merchants: ecpay.com.ph/partner-outlet-finder. To know more about the RxER, please call their Customer Care Hotline at 884-9999 or send an email to: inquiry@medicardphils.com.